Our Commitment to Diversity and Inclusion. Principal Connections. D&I is embedded in everything we do, from executive-level searches to our diverse suite of leadership consulting solutions to how we operate within our own firm. It’s evident in our collaborative approach, our connections to diverse leaders who can excel in senior roles in every industry, and our partnership with organisations that support progress in diversity and inclusion around the world. Whether we are assisting you in connecting with game-changing talent or helping you identify paths toward accelerated growth and performance, diversity and inclusion are at the core of our services. We’ll help you build a leadership team with diversity of perspective and experience, tapping into fresh thinking and new solutions. And we can help you build an inclusive culture to encourage the exchange of ideas and points of view that drive discovery and innovation. Principal CONNECTIONS' Unique Approach to Diversity-Focused Recruitment. 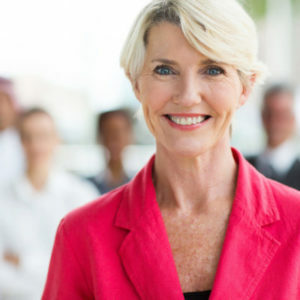 Principal Connections leverages proven strategies to source diverse talent for your corporate leadership and board of directors. We search beyond customary channels to find gifted innovators who can take companies in ground-breaking new directions or strengthen the core business under assault from disruptive new competitors. A leader from another sector or sphere may bring the vision, ingenuity and resourcefulness needed to navigate and adapt to the demanding and rapidly shifting global business environment. Falling behind is not an option in this competitive landscape. Diversity and inclusion strengthen an organisation’s ability to thrive and grow. We look forward to exploring ways we can partner with you to increase the diversity within your leadership team and enrich your organisation’s culture of inclusion. We succeed through collaboration, inclusion, and valuing diverse points of view. Diversity in gender, ethnicity, sexual orientation, and backgrounds brings together different insights and perspectives that uncover new paths to solving familiar problems. In a marketplace that connects across cultures and continents, access to a diverse workforce is essential. We recognise our diversity as an employer strengthens our ability to bring a full range of perspectives to our clients. Our consulting team reflects those we serve. An inclusive culture where every individual is valued, respected, and supported expands opportunities for everyone to achieve their potential. Our leaders foster and inspire and environment that celebrates difference. Their individual beliefs and passion for diversity reach beyond the firm.